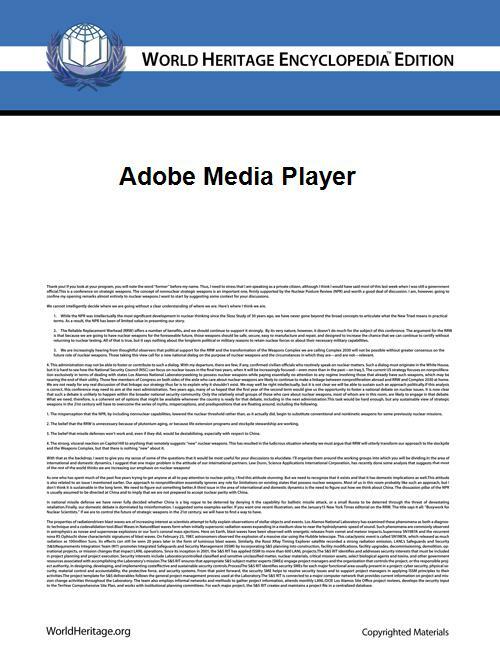 Adobe Media Player was a desktop media player that allowed users to manage and interact with their media content, and allowed content publishers to define branding and advertising in and around their content. The Adobe Media Player was one of the first Adobe AIR applications from Adobe Systems. It was announced at NAB show in Las Vegas and was released in April 2008. It used DRM and enforces advertisement viewing, when watching videos both online and offline. 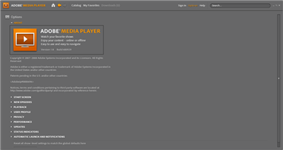 The player was designed to allow users to subscribe to webcasts from various providers to be either streamed or download for viewing offline. Adobe had signed CBS, PBS, MTV Networks, Universal Music Group, CondeNet, and Scripps Networks as partners. Adobe had planned to release other features to support various business models, such as the ability to rent videos. Adobe Media Player was discontinued on 16 September 2010. The player had been praised for its user-friendliness and compared to the internet TV service Joost. ^ a b "Adobe Unveils Next Generation Internet Video Solution". Adobe Press Room. Adobe Systems. 16 April 2007. Archived from the original on 18 April 2007. Retrieved 20 April 2007. ^ LaMonica, Martin. "Now playing: Adobe Media Player 1.0". Retrieved 16 August 2012. ^ "Adobe Media Player". Adobe Website. Adobe Corporation. Archived from the original on 28 December 2010. Retrieved 29 December 2010. Effective September 16, 2010, Adobe Media Player software will no longer be available for download from the Adobe TV website. In addition, as of November 25, 2010, Adobe Media Player will no longer be available for download from Adobe.com. ^ Thornton, James. "Navigate online videos using this multimedia player". Retrieved 16 August 2012.